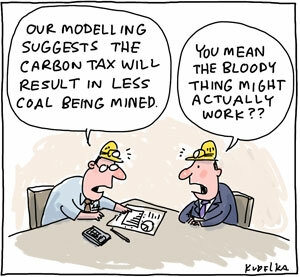 Could somebody please inform Queensland about how catastrophic the mining and carbon taxes are going to be for the coal industry? They might want to redo their budget as the industry’s modelling suggests that the carbon tax is going to result in mine closures. Catasrophic may be an overstatement. 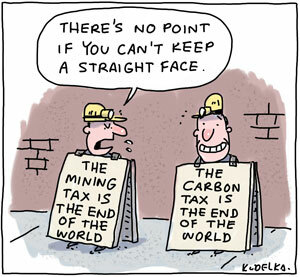 In fact it will be good for the economy if the mining industry cools it heels for a bit. The dollar will go down so benefit manufacturing.